K.U.Leuven is a charter member of the League of European Research Universities, and European surveys rank K.U.Leuven among the top ten European universities in terms of its scholarly output. Likewise with regard to teaching, several quality surveys demonstrate that K.U.Leuven stands on par with internationally respected institutions in a large number of fields. This academic reputation attracts students from all over the world. K.U.Leuven has been involved in the Erasmus student exchange programme since its launch in Europe in the late 1980s; each year around 600 international Erasmus students spend part of their study programme in Leuven. At present, K.U.Leuven caters to more than 31,000 students, around 12% of whom are international students from more than 120 nations. 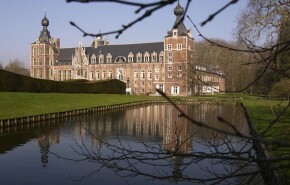 Leuven is safely situated at the very heart of Europe, only 20 minutes from Brussels, it has around 90,000 inhabitants. Add to this 31,000 university and 11,000 high-school students and it should come as no surprise that the overwhelming dyanmic of the city is young.